Why Do Bed Bugs Occur? Bedbugs have a favorite food: you. They also have a favorite time to feed, which is when you happen to be asleep and not interested in swatting them away. They work so stealthily that most of the time, you'll never know you've been bitten until you start waking up with red bumps. Leaving the lights on won't help solve your problem because these adaptable creatures aren't afraid to come out whenever they need to. Bedbugs prefer to feed at night. They most often come out in the early morning, a few hours before the sun comes up. By that time, you'll have been busy luring them in for a few hours by giving off body heat and carbon dioxide. You're also in a deep enough sleep that you'll be undisturbed by their feeding routines. If you skip the bed at night in hopes of starving them out, they'll just follow you to the couch, the spare bedroom or a piece of furniture next to the floor space where you crash for the night. Bedbugs can survive for nearly a year in a dormant state. If you haven't been near their usual night-feeding spot because you haven't been sleeping at home, they'll wait you out for a while. If you spend time during the day at home, eventually hungry bedbugs will detect your presence through your breath and body heat and seek you out during the day. It may seem like bedbugs are eating you alive, but in reality, each bug only feeds about every five to 10 days. As they grow from nymphs into adults, they molt, or shed their skins, five times, according to entomologist Janet J.
Knodel and colleagues from North Dakota State University. They must consume a large meal of your blood before each molting session. It takes a bedbug three to 10 minutes to feed. Sometimes the bugs only bite a single time, but most of the time they make a cluster of two to four bites at each feeding. Bedbugs don't really care what part of the body they get a meal from. They typically bite the legs and arms because those are the most commonly exposed areas of skin, but they'll bite any skin area they can get to, including your face and neck. If you cover yourself up from head to toe, it may slow down a bedbug, but eventually the bug will find a crack or crevice and gain access to your warm skin. The Ohio State University: Bed Bugs; Susan C. Jones, Ph.D.
Are Brown Recluse Spiders in South Dakota? 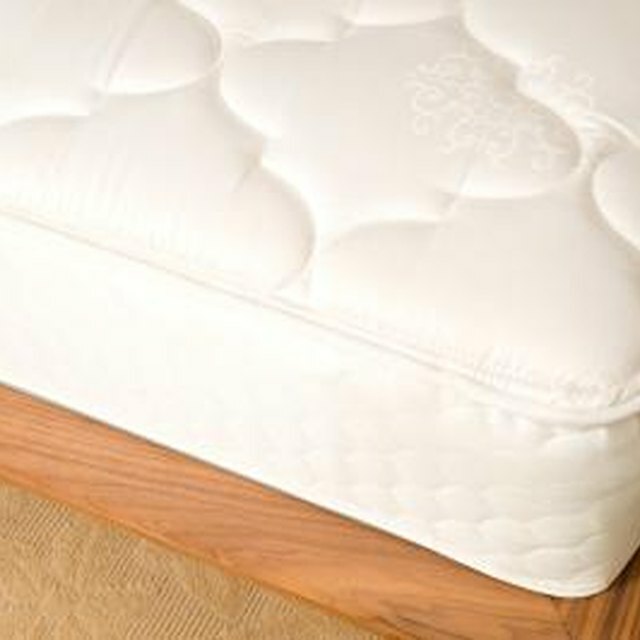 Will Soaking My Mattress in Bleach Kill Bedbugs? Do Bed Bug Sheets Work? Where Do Bed Bugs Nest? What Insects Live in Bedrooms?